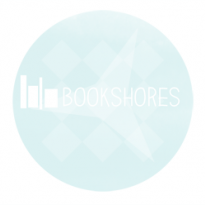 I really enjoyed Ship Breaker, the companion book to the Drowned Cities by Paolo Bacigalupi. 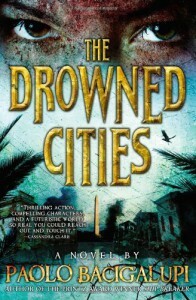 The world-building and settings for both books are incredibly vivid and masterfully written—however, I found the Drowned Cities’ plot to be muddled, and the intensity of the grittiness, violence, and chaos unsettled me. I realize that the book is labelled as “YA,” but I would caution that some readers are too young to read this book. Mahlia, a cast-off of mixed blood from a time when Chinese Peacekeepers attempted to stop chaos-mongering, warring factions in the Drowned Cities (a ruined Washington, D.C) is tired of the abusive and terrifying treatment she receives due to her ancestry. She makes a decision that almost instantaneously alters the course of her life, and that of her best friend and orphan, a farmboy named Mouse. Through her and several other characters that share the narrative spotlight, the book explores questions of identity, violence, family, war, purpose, and the value of history. Mr. Bacigalupi’s vision of the future is innovative and effectively hooks the imagination. The world is tangible and within the reader’s grasp—there is no working overtime to understand the workings of a future that has abandoned oil. The characters, too, are solid—Mahlia, strong and determined, Mouse, innocent and clever, and Tool, the mysterious “half-man,” a genetically augmented being. The villains of this story are terrifying in their cruelty, their indifference, and even their fervor. Readers who enjoy being immersed in a fantastically rendered, dystopian future will pick this one right up. So will those who like a good survival story, or favor stories told from multiple viewpoints. This novel contains a great deal of violence—much more than its counterpart, so readers who are squeamish or wary of gore and death should probably consider picking up another book.